Q: What’s the best way to pay for a home renovation? A: You have several choices when it comes to funding a home renovation. Let’s first take a look at some common choices and the disadvantages that may not make them the best option. Upfront fees can be high. Receiving all the funds at once can push you into spending more than you need. The amount you borrow may not be enough. You may be stuck paying interest of 15% until you pay off the balance on your card. Your credit score may be negatively affected by the large, unpaid balance on your card. Upfront costs and interest rates can be high. Receiving the entire amount in one lump sum can lead to overspending. Retail credit cards can have very high interest rates. With so much credit extended to you, you may be tempted to overspend. A merchant loan is taken out against a business’s anticipated revenue. Merchant loans have high interest rates. You’ll need to pay a fixed percentage of your sales toward the loan repayment. If your sales spike, this puts you at a disadvantage. There are so many loan options and strings attached! 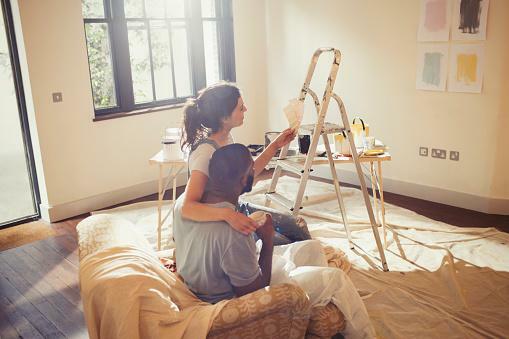 How can you fund that home renovation? Call, click, or stop by Health Care Family Credit Union today to get started on your HELOC application!